I’m only two-thirds of the way through Nehemia Gordon’s Shattering the Conspiracy of Silence, and I could wait no longer to recommend this very enjoyable book. In powerfully enthralling fashion, Nehemia deftly exposes and relays truth after truth. 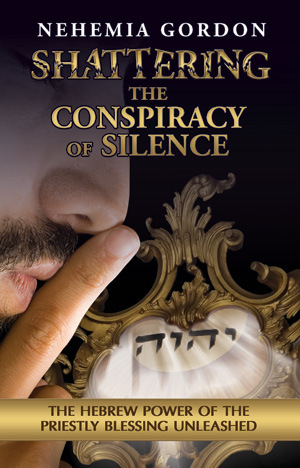 It is at once a terrific story and a masterful explaining of his years of research culminating in the shattering of a conspiracy of silence, concerning the name of Yehovah! Each chapter has profound lessons masterfully woven into the fabric of a true life adventure. Lessons clearly touch error in both Judaism and in Christianity, and Gordon attacks the idol of ‘tradition’ head-on. A special joy thus far is the number of Scriptures he reveals and elucidates, many verses I have never seen before! Numerous times he opens glorious portals to see wondrous things within the Law and the Prophets. This entry was posted in Book Recommendations and tagged benediction, conspiracy, Nehemia Gordon, Priestly blessing, Yahweh, Yehovah. Bookmark the permalink. Oh I read that a couple years ago and gave a copy to Nick’s dad. Was a very good read! Don’t know how I missed it. Just found it last week. Excellent, easy but well researched informative read that addresses concerns and traditions among both camps… Love it. Have had this book on my wish list for months – gonna have to bite the bullet and get it! We, too, enjoying hearing Nehemia’s perspective. Have you listened to his weekly discussions of Torah and the prophets with Keith Johnson and Jono (can’t remember his last name)? Called ‘Torah Pearls’ and ‘Prophet Pearls.’ Nehemia almost always gives a new insight into the ancient Hebrew translation and the historic understanding of the passages in question.